I love the feel and energy of the magazine! 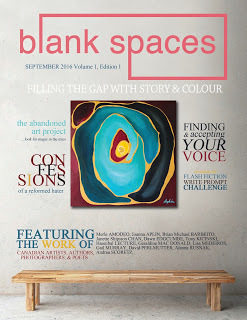 December’s edition (issue 2) includes the stunning photography of Aidan and Leanne Hennebry from Hush Hush Photography. Their photos of New York taken from a helicopter are breathtakingly beautiful. There are also many entertaining and engaging articles, essays, and poems, including the winning story from issue 1’s writing prompt challenge. The deadline to enter the next challenge is January 10, 2017. Complete submission guidelines are available on their website. Magazine copies, print and digital, can be ordered online. You can also connect with them on Twitter and Facebook.